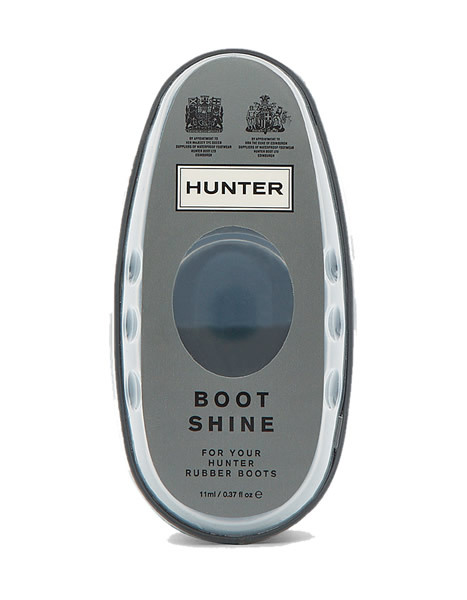 Hunter instant boot shine restores the natural finish to your rubber Wellington boots. This silicone impregnated sponge gives leather and rubber an immediate buffed finish. Contained within its own durable casing it is ideal for use when travelling or at home. Silicone may cause certain soft leathers or light coloured materials to darken slightly. Test on a small area before general use of the product. Do not use on suede or nubuck.